In infrastructure, long a hallmark of Germany, the country is no longer exemplary. Germany’s high export ratio proves to be a disadvantage in times of trade disputes. The current account surplus, once the pride of the German economy, has become a burden. I usually appreciate the British weekly “Economist” for its clear analysis and good spotting of economic and social trends. But even good journalists can sometimes miss their target. He praised my homeland and emphatically declared that it was about to enter a new era. It would be “more diverse, more open, more informal” and simply “hip.” With the right kind of political leadership, it could become a model for the West. As a German, I was pleased of course with the praise of the otherwise often critical Britons. It was indeed unusual. But already at the time of the special’s appearance in April, I also had an uneasy feeling that everything was supposedly so right and well in balance. The months since then have strengthened my skepticism. The situation in Germany has certainly not evolved in the manner foretold. On the contrary, the conflicts over the refugees and xenophobia have intensified. Also, the sense of a “goldilocks” country is not reflected in the capital markets. This especially applies to equities. For almost two years, the German DAX index has lagged behind other indices in Europe. While the French CAC 40 rose by 11% and the Vienna ATX by as much as 25%, the German index is basically unchanged. It still stands at the level of 2016. Even the Italian MIB index rose by 25%, before it fell sharply after the Italian elections. Apparently, Germany’s performance does not leave a lot to be desired just in football. It’s not so good in the economy or the financial markets either. As it stands, the “new Germany” is, at least from an economic point of view, not “hip” and “a model for the West,” as The Economist says. This also bears out in other domains. Consider politics and society as a whole. The formation of a new German government after the last general election was unusually difficult and long. The resulting Grand Coalition has not achieved much yet. It is also consistently loses approval among voters. Conversely, the far-right AfD is gaining in popularity. The public dispute over the refugees is becoming more aggressive. This makes the political system of the Federal Republic less stable. Economic growth in Germany has fallen more sharply since the beginning of the year than in other countries. Investment is growing at a much weaker level than in other European countries. 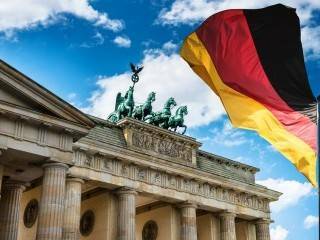 German industry, long the proud centerpiece of the German economy, has lost in attractiveness. The important automotive industry continues to suffer from the self-imposed effects of the diesel affair. Because of their obsessive focus on diesel technology, German carmakers are not at the forefront of electromobility, which is becoming ever more important in the future. In the high-tech sector, Germany has only one major player (SAP). There is no German institution among the top European banks anymore. That is a distinct disadvantage in financing industry. And for the investment bankers, which Frankfurt hopes to lure from London post-Brexit, the all-too-accommodative German labor law has still not been adapted to the need of letting go high-paid bankers rather on the fast track. The list of weaknesses of Germany in an international comparison could be continued. Of course, these are complaints at an admittedly high level. The German economy is not in bad shape. Many countries would be happy if they only had these problems. But in the past, Germans have always motivated things by seeing good things in too dark a lens. This actually improved the overall performance. Now, we are experiencing the opposite: An accumulation of bad trends is viewed with too rosy lenses, as well as with an uncharacteristic level of complacency, if not laxness. This is what is reflected in capital markets. Accustomed to hearing the grass growing, they react long before the actual problems are becoming really virulent. One can only hope that the current bout of a self-satisfied slide does not take full hold. However, the current government does not make one optimistic. It is still dedicated to redistribution, without focusing in anywhere near sufficient a manner to put in place the preparations for future growth and prosperity. Of course, there are those (politicians) who find such an analysis unnecessarily alarmist. They recall that, soon after reunification in 1990, Germany was labelled the sick man of Europe. Due to the Hartz IV reforms, it was able to pull out of the difficulties. It grew stronger again and developed a dynamic which was stopped only by the big financial crisis. That tale is certainly true. But it is no reason whatsoever not to undertake the reforms that need to be taken now and to make the investments that are long overdue (such as in the country’s IT infrastructure and in education). Instead, political Berlin is all too happy to wallow. Amidst the signs of a mounting crisis, it still does no more than paying lip service to these clear-cut needs. *Former chief economist of Germany's HVB Group.